Whether you’re replacing your old heating and cooling system or looking for ways to lower your energy costs, Heat Relief Heating & Cooling can help. First, you need the right contractor. With so many HVAC contractors to choose from out there how do you know if you are making the right choice for your Portland area home improvement project? Heat Relief is Oregon’s premier home comfort specialists, and we've gathered ten time-tested tips for selecting the best contractor for your project. Don’t make any decisions before you check with state and community agencies for a company history of complaints and resolutions to make sure the dealer is reputable. Follow contract law: Demand that your contractor follows contract law. A new comfort system is a big decision and with big decisions comes responsibility. According to Oregon law, all home improvement contracts include a 3-day right to cancel. 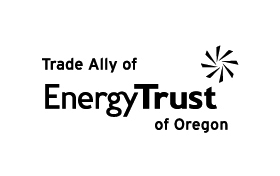 Heat Relief is among Oregon’s largest and most trusted home comfort specialists, and we encourage our customers to do their homework. We’re confident that, in the end, we can earn your business and help you avoid the perils of selecting the wrong contractor. There are no shortcuts when it comes to selecting the right Portland heating & cooling contractor; however, given the opportunity, we hope to earn your business. For more information Ask an Expert.